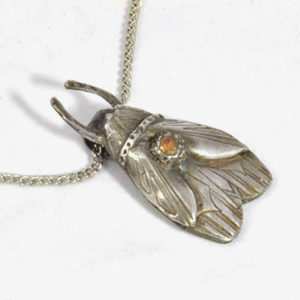 Each silver insect in the Insect Jewelry Collection shows the influence of Art Deco style. 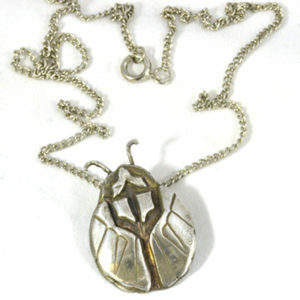 Geometric lines compliment the shapes of nature’s bugs in the necklaces, bracelets and earrings shown in this collection. Each piece shows its own personality. 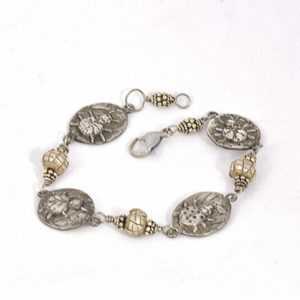 The jewelry is made of 99% silver called ‘fine silver’. 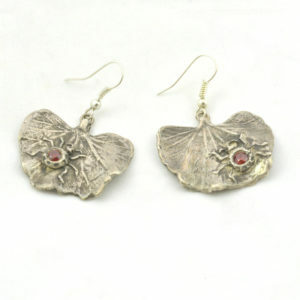 The silver starts out as silver clay. 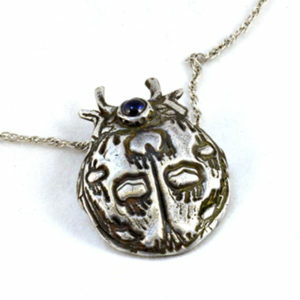 It fires in a hot kiln after the final design to become silver metal. Colored CZ (cubic zirconias) set into several of the jewelry pieces add color. 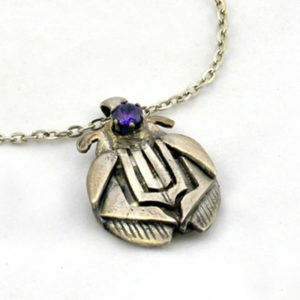 Linda Britt designed each piece of the Insect Jewelry Collection keeping Art Deco style in mind. Her attention to detail makes each piece unique and one of a kind. During the 1920’s, many Art Deco designers took note of the overlooked wonders of nature. 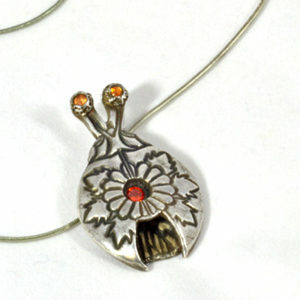 So many designs mimicked creatures with antennae like butterflies and other insects. The shapes of beetles and bugs took shape in the geometric designs.